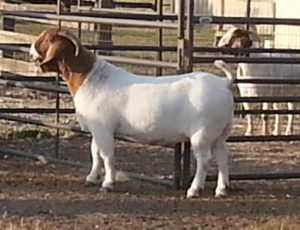 AABG NBD MORE POWER ( ennoblement pending inspection) is a buck Sandy Eggers and I purchased last year from Rena Lynch bred by Lary Duncan. We can’t say enough about how great he has crossed with our goats. 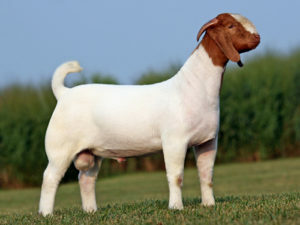 He was ennobled off our MCR Prodigy ( ennobled) daughters and now producing Champions in the show ring. 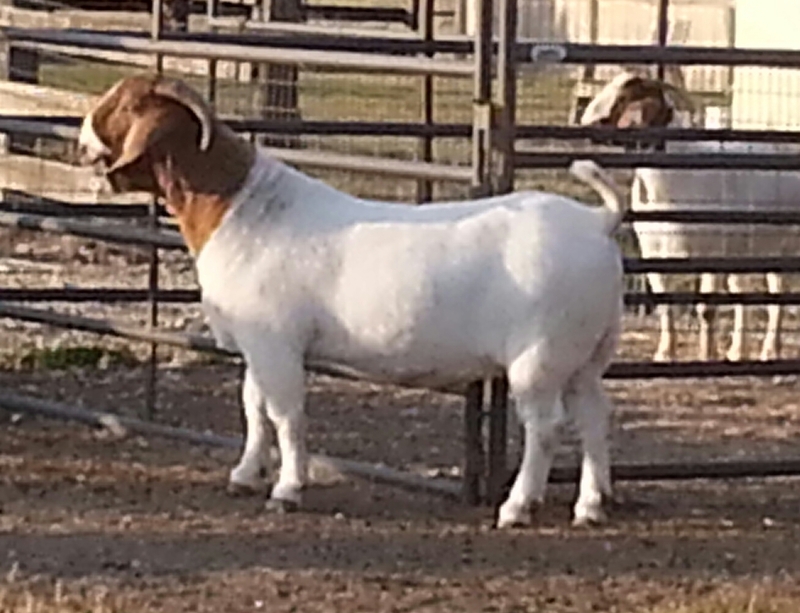 Power is big and thick with a huge top. 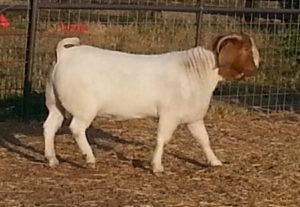 AABG NBD MORE POWER out in Pasture..
JC BOER GOATS POWERS OLIVE class winner at Grand Nationals with over 6 show points on limited shows. Daughter of JC Boer Goats Prodigys Street Dancer. 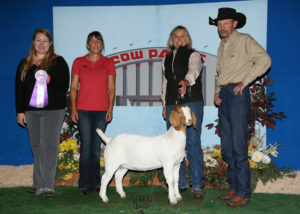 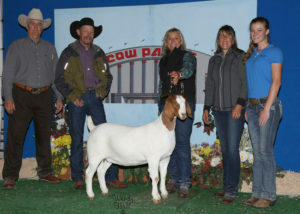 JC BOER GOATS POWERS 1078 Junior Reserve Champion Doe at Grand Nationals first show out. 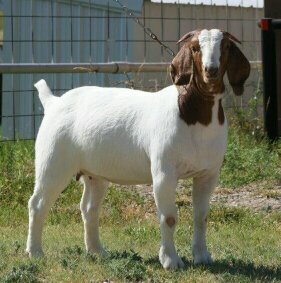 Daughter of JC BOER GOATS PRODIGY’S VEGAS GIRL. JC BOER GOATS OLIVIA – A MORE POWER daughter – CO-OWNED with Buck and Natalie Pruitt is out of JC BOER GOATS PRODIGY’S STREET DANCER – has earned several reserve junior champion titles. 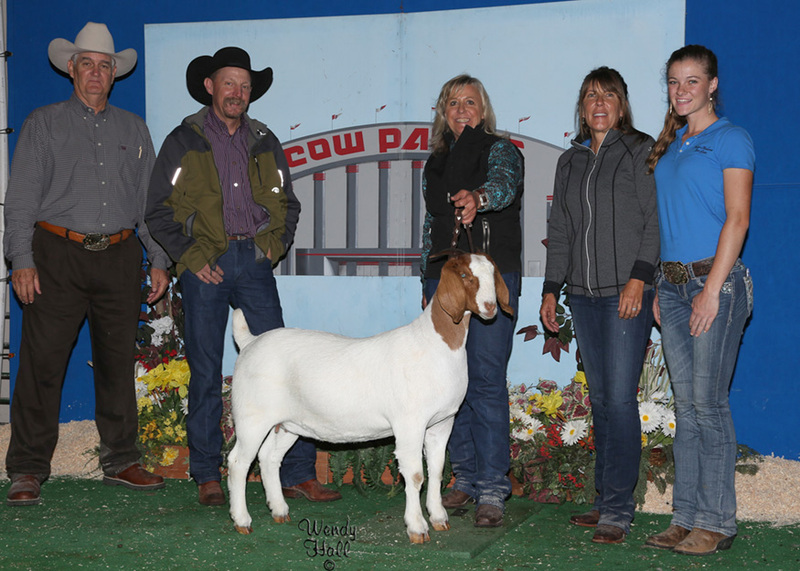 MM7 POWER BROKER – Owned by Sandra Egger – Won Overall Grand Buck at 2016 Grand National -Sired by MORE POWER out of a PRODIGY doe. 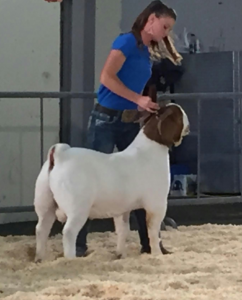 And her MORE POWER does were Reserve Overall Grand Does both shows at Grand National 2016. 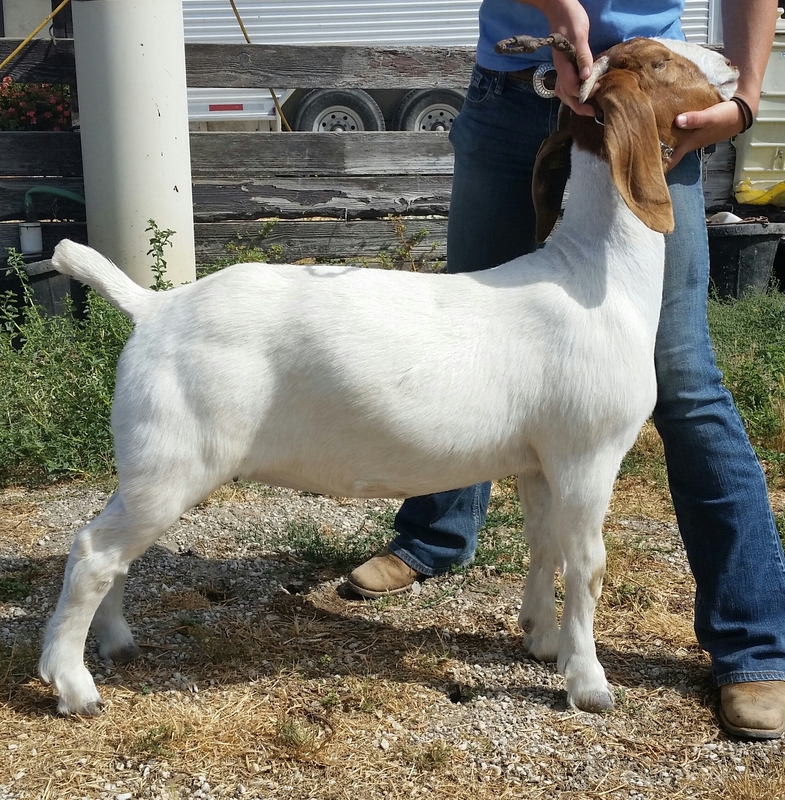 AABG NBD MORE POWER daughter I sold – look at the muscle and bone out of a this Prodigy daughter.